Your Online Store includes four basic "storefront" pages: Home, How We Got Started, Contact Us, and Terms & Conditions. You can add video to any of these pages (except Home) and to additional storefront pages you create. Storefront pages can include videos from YouTube, Vimeo, Vine, Instagram, DailyMotion, or Youku. In your products list, click Online Store, and then click Manage next to the account you want. In your Online Store, click the Store Design tab, and then click Pages. Click Edit to open the storefront page you want to change. 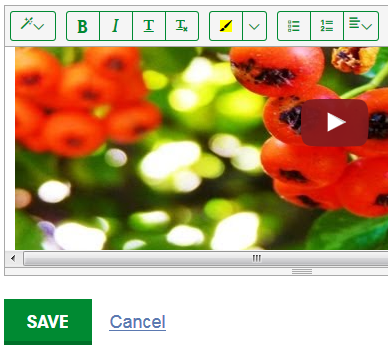 In Page Content, click where you want to add the video, and then click the video icon. Use your Web browser to find the video you want to use. 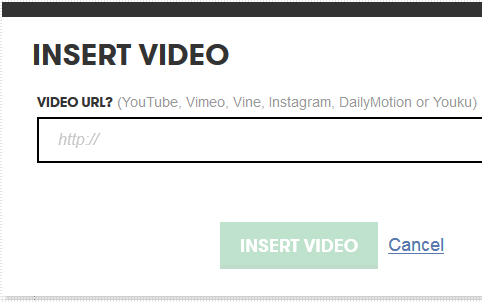 Copy the video URL, paste it into the Insert Video textbox, and then click Insert Video. When the video appears in the Page Content area, click the play button to test it, and then click Save. To see your change, click View Store at the top right of your page. In the preview of your store, click the storefront page you updated to see the video.